Home News (Video) Two Women Are Claiming Donald Trump Inappropriately Touched Them! (Video) Two Women Are Claiming Donald Trump Inappropriately Touched Them! Donald Trump recently received tons of fire for the hasty remarks he made about women. 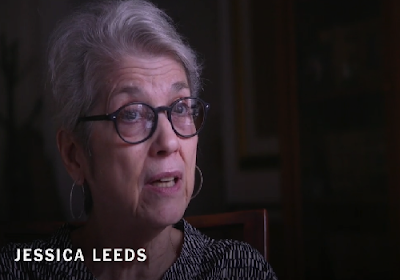 74-year-old Jessica Leads says she wanted to punch her screen once she heard Trump say he has never really done the things he boasted about. Over three decades ago, Leeds says she sat beside Trump in first class as she was a traveling businesswoman at a paper company. Leeds says after 45 minuets of being on the first class flight, Trump lifted his arm rest and began to touch her. She says the mogul grabbed her breast and tried to put his hand up her skirt. "He was like an octopus. His hands were everywhere." Leeds called the incident an 'assault.' She says she fled to the back of the plane. This incident hit home for another woman by the name of Rachel Crooks who says she met Trump back in 2005 in an elevator. She introduced herself to him being that her company did business with him. She says she shook Trump's hand and he would not let go. Actually, she said she proceeded to kiss her on the cheek and then in the mouth. Crooks says it was not an accident, it was a violation. "It was so inappropriate. I was so upset that he thought I was so insignificant that he could do that." Crooks says she was so shaken up, she went and called her sister Brianne Webb. "She was very worked up about it. Being from a town of 1,600 people, being naïve, I was like 'Are you sure he didn't just miss trying to kiss you on the cheek?' She said, 'No, he kissed me on the mouth.' I was like, 'That is not normal.'" When interviewed by the 'NYTimes', Trump got super defensive. He called the reporter a 'disgusting human being' when she spoke on the claims made by the women and of course denied that they ever happened. I wouldnt even put this pass Trump at this point.